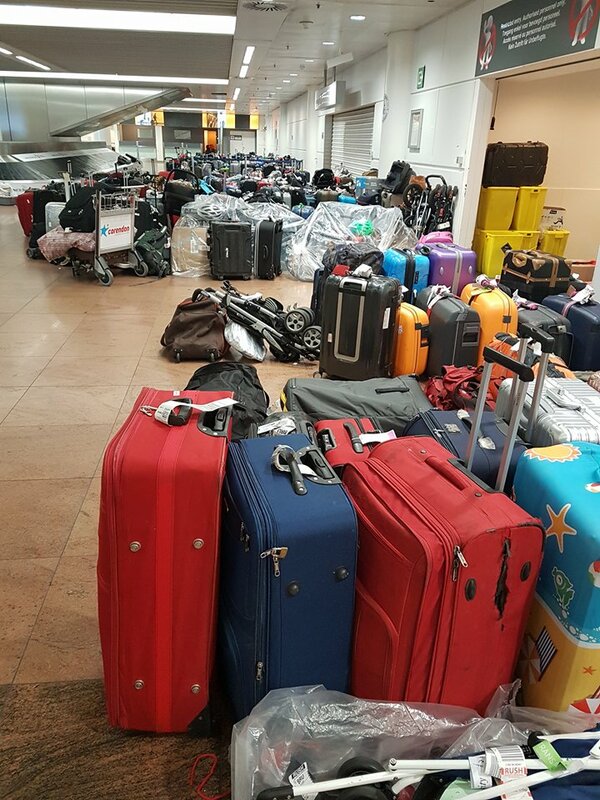 Two weeks after the Swissport baggage handler strike at Brussels Airport, a lot of passengers didn’t reclaim their luggages yet. Some of these luggages are spreading a terrible smell in the arrivals hall. This morning a passenger passed through the arrival hall near the baggage carousel and took these pictures, she explained to luchtzak.be that some of these bags are smelling “like a trash can”. 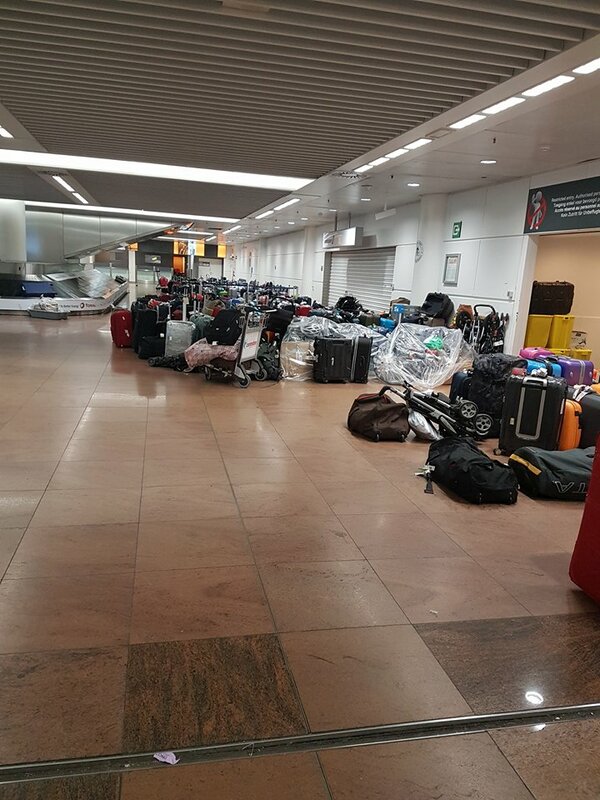 Brussels Airport has disinfected the zone where the luggages have been stored. The scent is limited to the place where people can pick up their luggage. 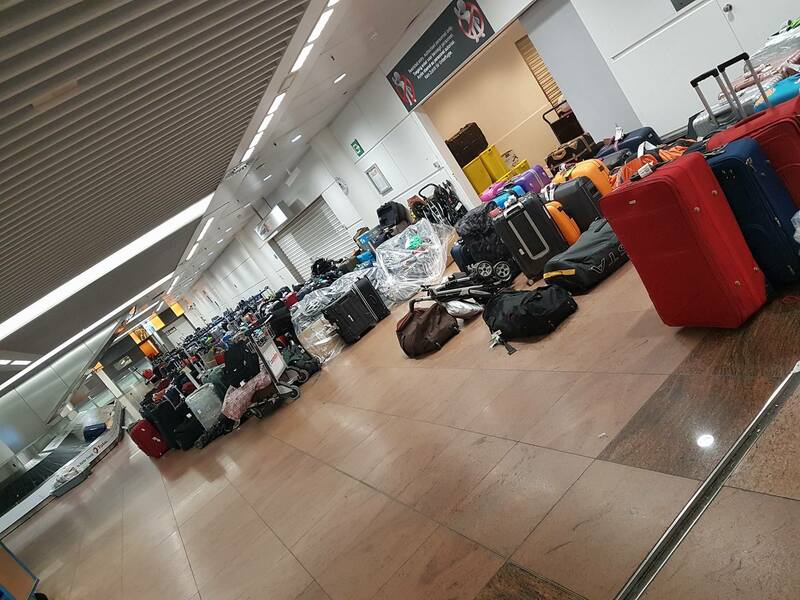 Nathalie Van Impe, Brussels Airport spokeswoman explains to VRTNWS: “The people who pick up their luggage can notice the smell, but the smell is definitely not all over the airport.” Passengers must reclaim them at Swissport, hopefully those 1,000 pieces will also end with their legitimate owner. Unclaimed luggage will be kept for a while. “We can not open the luggage, or take out of the suitcase, it’s not our responsibility. If luggage starts to leak, that’s a biological risk, and there’s the standard procedure that luggage is being destroyed,” Van Impe said.